Seth Peterson is one half of the yoyo lifestyle brand, Save Deth. Founded by Seth Peterson and Dave Poyzer, Save Deth is a streetwear brand both influenced by and featuring art from the yoyo community as well as putting out great DVD’s and clip videos full of original footage of your favorite players. Seth is a former member of the Duncan Crew, as well as an extremely smooth and talented player with an awesome mentality towards the art of yoyo. 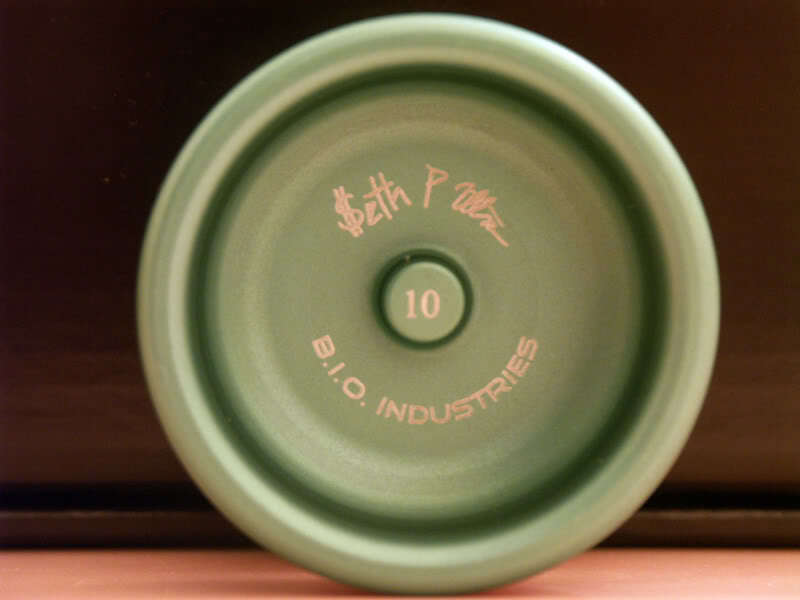 Seth agreed to do an interview and we talked tricks, yoyos, music, and more! Check it out! Seth, thanks for doing an interview! For those that don’t know, you along with Dave Poyzer started Save Deth, a streetwear brand influenced by the yoyo community and featuring designs by yoyoers/artists like Paul Escolar and Danny Severance. How did you originally start throwing? I started yoyoing back in 1996. A friend of mine got a yoyo and showed me some tricks. So, I got my own and was hooked. I grew up in a small town in Iowa, so we didn’t have anyone to learn from. I can’t tell you how many hours we spent trying to learn tricks from trick books and videos. Wow, that’s a while back. Have you stuck around the scene since? I wouldn’t say I was even part of the scene till 2000 when I went to my first real yoyo contest. But yeah, I’d say I was pretty into it since I started. That had to be such a different time in yoyoing, I think it would have been cool to see big changes in yoyoing like unresponsive play, more accessibility via the internet, etc. What were some of your favorite tricks back then? 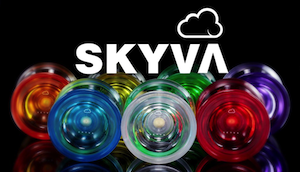 What would you say the biggest difference between yoyoing now and yoyoing then is? I would say the biggest difference for me is the equipment. When I started really getting into learning harder tricks and competing, there was so much tuning and modding you had to do to get something to play well. Not to mention availability. Now, you can get really good bearings yo-yos at Toys R Us. And you have YoYoExpert with a huge selection of modern yo-yos. 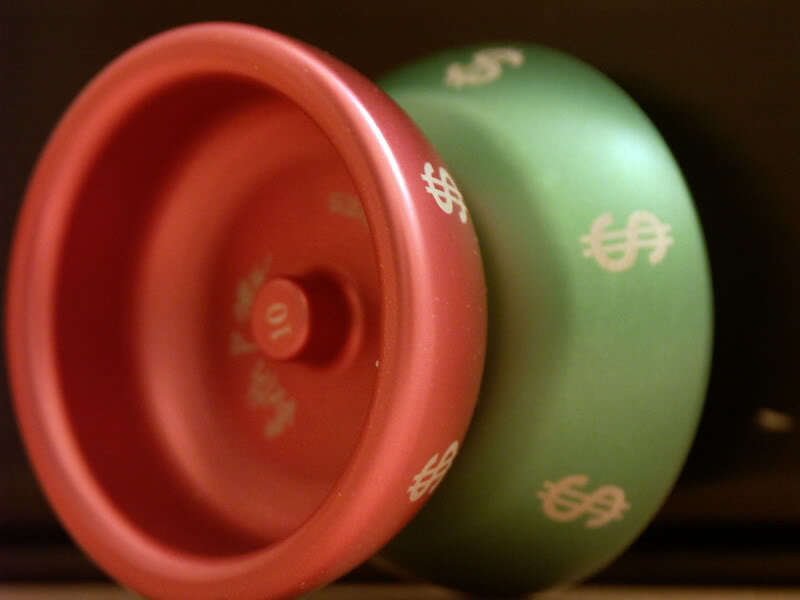 It’s really a great time to be a yoyoer. As far as tricks, back then, Spirit Bomb was my Holy Grail trick. Also, Steve Brown’s H20 mount tricks like Water Bomb had a huge impact on my way of thinking about tricks. Those H20 mount tricks are awesome, although I never learned them. I remember seeing Chinese Water Torture and Water Bomb in some Spindox clips. I’ve seen another old trick called Spring Water by a guy named Spiky Haired Raver from back then which uses that mount too. You have such a smooth style when it comes to your own tricks, when did you start making your own up? I think making up tricks was just a natural progression. Back in the early 2000’s, everyone was making up new things. Sector Y and the Spindox videos really brought that to the forefront for me. The trick section was full of new, never before seen tricks and concepts. I think we’re still unpacking what they did over a decade ago. Do you have any approach to making up tricks? As far as approach, I try not to try. I don’t compete so I don’t have that pressure of showing new stuff all the time. I’m really glad for that, I love doing my old tricks, and redoing old stuff really helps me with new tricks. That’s kind of what Paul Escolar said about old concepts when I interviewed him, and it’s true. I’ve been throwing for about 2 1/2 years now but I’ve never competed (except in a trick ladder when I first started). Competitive yoyoing is still cool and I give so much credit to those that do put out fresh material and win contests, but yoyoing for a long time just for the fun of it makes for one good stress reliever. 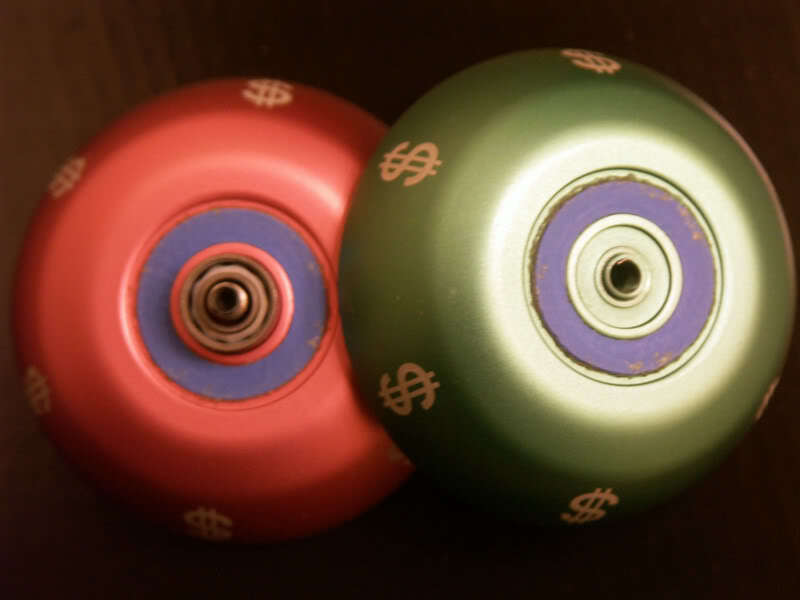 Back around 06/07, you released a yoyo with the now-defunct B.I.O. Industries called the Ego. I actually got one off of YoYoExpert’s BST a few months ago, but it needs K-Pads. How did that release end up happening? I really liked the way it played before the response wore out. You’re really pulling skeletons out of the closet! I don’t know how it started actually. But it was an insanely quick process. Basically, I wanted to make an aluminum X-Con, with a D bearing. within a week of describing what I wanted to Alex, it was done and for sale at Nationals. It was a good learning experience, for all the wrong reasons. I know B.I.O. Industries was notoriously a really, really sketchy company, but that’s another story for another day. Save Deth came along not long after, right? I’m a huge fan of both streetwear and yoyo videos so Save Deth couldn’t really be more of a perfect company. With the yoyo community being a kind of fashionable one, Save Deth is a pretty welcome fit. How did you and Dave get the idea to start the company? Did you wonder whether or not it would not it would catch on at first? When the Ego happened Alex had just started BIO, it wasn’t till after it happened that I started hearing about all the yo-yos and money he owes people and stuff like that. It’s a bummer. But, as far as Save Deth goes, it all started with making yoyo videos. The first video of Volume 1, “Downtown” started it all. Dave and I were really inspired by Miguel Correa’s “Manifest Destiny”. It was the first video I’d seen that told a story, and there was as much energy put into the production as the tricks. SO, we set out to try to make a visually interesting video. That was the spring of 2005. Once Dave was done editing that video, we realized we had something that might work as a DVD. So, we spent the next 2 years filming people who would come into town, and eventually we had Volume 1, which was released at Worlds 07. The catalyst for the clothing side of it was sparked in 2006 when I went to BAC and saw Kiya’s store, Turf. Seeing all these cool t shirts and shoes, it made me want to make cool stuff too. Our first shirts were just spray painted stencils. Later, as a “thank you” for making an Anti-Yo Eetsit video, Kiya and Sonny gave us a screen printing kit and a Polaroid camera. I don’t think they could have realized what they were about to start! After that, it just started to grow. Volume 1 was really well received, and people were really into the stuff we were making. Did you wonder whether or not it would not it would catch on at first? It was never a question of if it was going to be successful, we just wanted to make rad stuff with our friends. That’s awesome. Manifest Destiny is a good video, another one I like from that era that is kind of along those lines is Fidget by Spencer Berry and Jason Lee. I actually saw Save Deth Volume 2 first and it’s a great video. Not only did it introduce me to a few new players but some great music as well (the song “The Creeps” by Boy Noises from Vol. 2 is really good). What’s the process like in dealing with players, musicians, and all to put together a DVD? It makes for a really unique and enjoyable watch. The process was such a learning curve, especially the music. Music Licensing is no joke, and we wanted to make sure we did it right. We would start with a list of bands we wanted to use and just go through and research them, contact labels or agents and try to get them to listen to our pitch. We are also really fortunate to have talented friends like The Envy Corps and Parlours. Once we get the conversation going with a band or label, the next hurdle is the negotiate a rate. 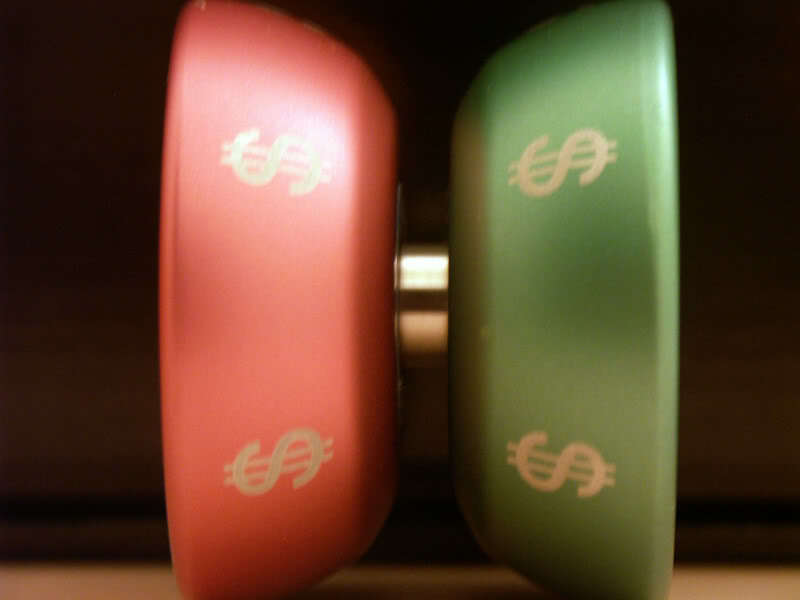 Each song we use, we have to pay for, every time we use it. So a portion of every DVD sold goes back to the artist. Our ultimate goal would be to pay the player as well. The editing of the videos is basically Dave just working his magic. I’ll start by going through all the footage and cutting out all the misses. Then Dave goes it and sets the shots to the music track, puts in b roll and color corrects the footage. Wow, I guess when yoyoers post little clip videos on YouTube licensing isn’t a huge deal. But, translate it to a DVD and having rights to use a song is pretty important. If you had to pick, what would your favorite clip from any volume of Save Deth be? I personally couldn’t pick but Danny’s part from Volume 2 comes to mind for having some really great stuff in it. Yeah, when you start selling something, and it uses someones work, it opens up a whole can of worms. As far as all time favorite, I’d have to say Abe’s part. I had so much fun filming that. Not sure if I’m being off topic either but do you know the band Real Estate? They’re a really chill sounding band that I was into a while ago, and I can see some of their stuff being in a Save Deth clip. I really like Real Estate too. Miggy introduced them to me. I think we listened to the Album “Days” at least once a week when we were roommates. I listened to “Days” too all the time last year, a lot of good stuff on there. What about Wild Nothing? They’re a little different than Real Estate musically but they’re another band I like. Don’t know about their music in a clip though. Yeah, Wild Nothing is dope too. I was going to use “Chinatown” for a video a while back. I think it was an Elliot Jackson video? Anyway, what can we expect to see from Save Deth and you in the future? I know you recently released some pretty nice 5 panel hats that I’ve seen make some appearances in some clip videos recently. The future, thats a good question. The new hats are the start. I’d like to do more with Save Deth, both on the clothing and media fronts. We haven’t put out a shirt in a while, but I’ve got new ideas and I hope we can put some of them out. As far as new media, things have changed a lot since we released Volume 2. YouTube was still growing, and HD video was a luxury not a norm. Now, everything is streaming in HD. In a way it’s awesome because now we don’t have to get DVDs made and have to deal with shipping. But, the infrastructure of online video is tricky. It’s amazing how much of a leap there’s been in video within the last 5 years or so, I discovered YouTube around ’06 and remember when there were “Director Videos” on the side of page as well as putting that special code at the end of video url’s to make them stream in HD. Dave and I have always wanted to make a photo book of Polaroids we’ve shot over the years. So, maybe we’ll be able to do something like that. For me, my wife McKenzie and I just moved to Portland yesterday. There’s so much going on in this city, I love it. And I hope I can be part of it all. I’m setting up a little screen printing shop, and I hope to start a few different projects that I’ve wanted to start, but didn’t have the time to. Ask me the same question in 6 months and I’m sure I’ll have a much better answer. I’ve never been to Portland, let alone Oregon, but I wish you luck! Any advice for anyone trying to get into yoyoing/photography/filming/graphic design? I think there are still great places for physical, analog things. I really enjoy good books and zines, records, toys. Stuff that’s fun to interact with. Videos, I don’t think I’ll miss DVDs. Portland is awesome. Every time I visit, I dig it more. I’m stoked to live here now. As far as advice, I’m still figuring it out myself. Just ask questions and enjoy learning. If you have an idea, work to figure out how to do it. I totally agree and feel the same. I should grab “Days” on vinyl or something, although my ipod is convenient nothing beats the warm sound of vinyl. On behalf of myself and YoYoNews, thanks Seth! I really appreciate it, and like I said good luck! Thanks for inviting me to be a part of it! 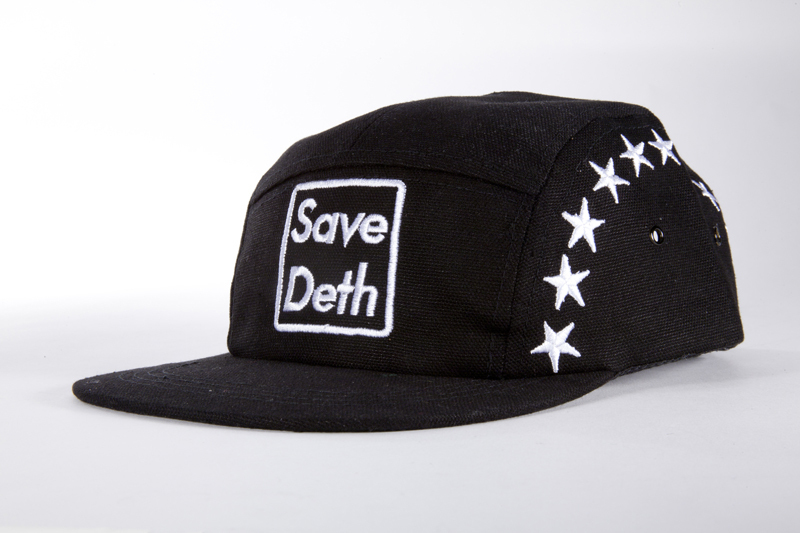 Save Deth has woken up from a long hiatus to release two new 5-panel caps! 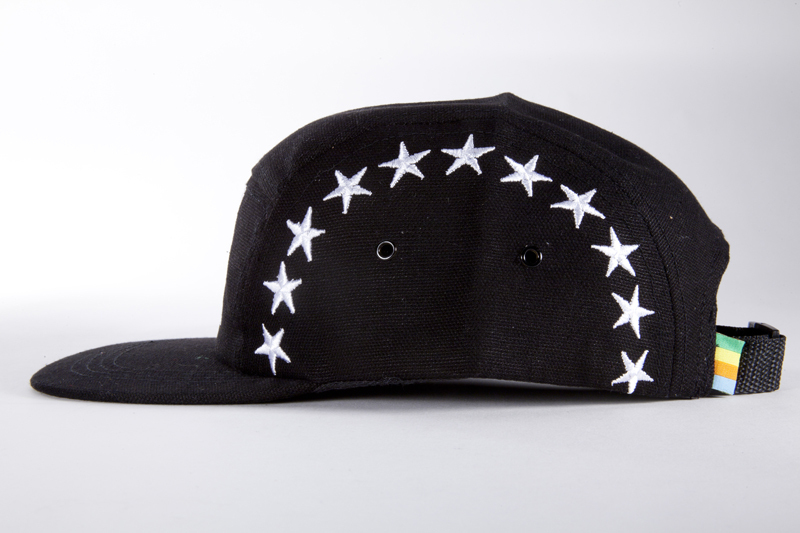 The first is based on their popular “Stars” snapback that was released in 2010. It was met with overwhelming support, so much so that they quickly made a 2nd run! 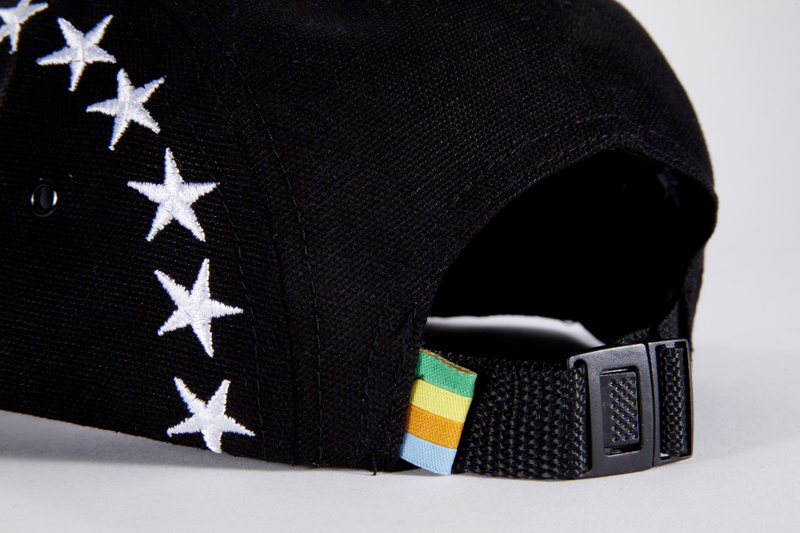 Now they’ve brought it back, this time in a 5 Panel “Camper” style. Staying true to the original look, both side panels have the stars arced across them with the square Save Deth mark on the front. 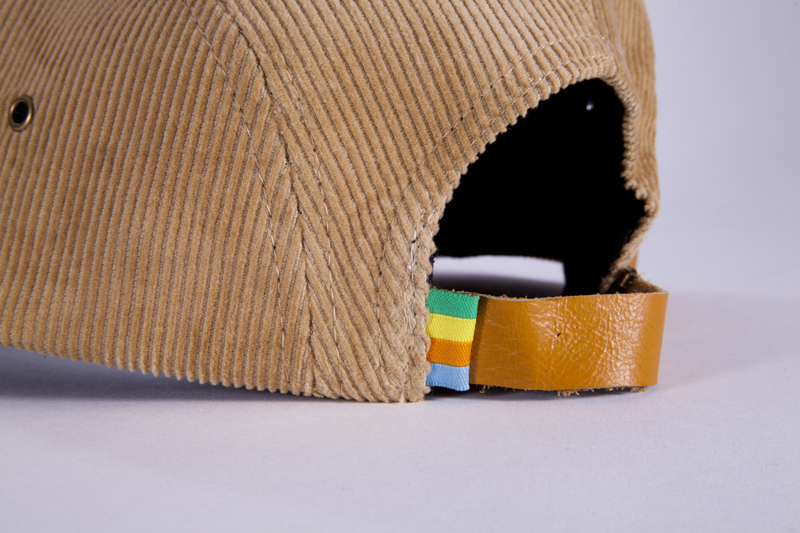 Every hat is finished off with a signature colorbar tag. The second design is the NHTI hat. 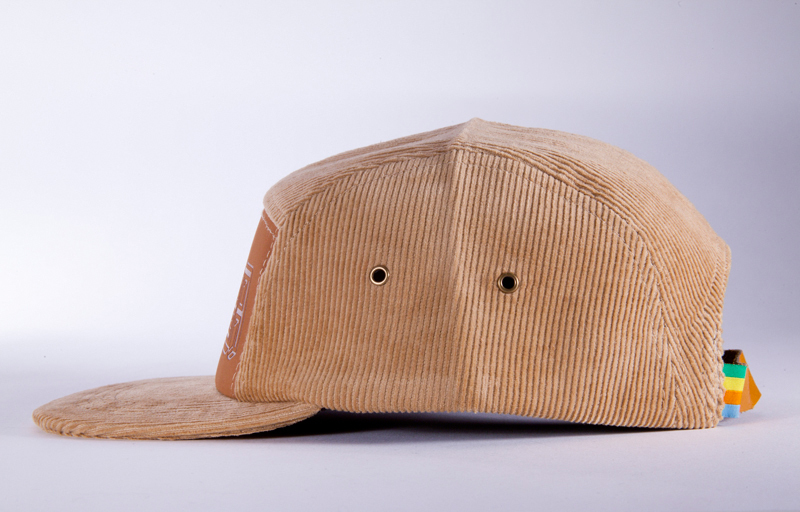 The inspiration came from a thrift store find; a leather and corduroy hat that was pretty old and beat up, with NHTI branded into the leather. The hat lasted Seth for a while, but the brim finally cracked and it was retired. Ever since then, he’s wanted the same materials in a hat…and finally, he’s made one through Save Deth. 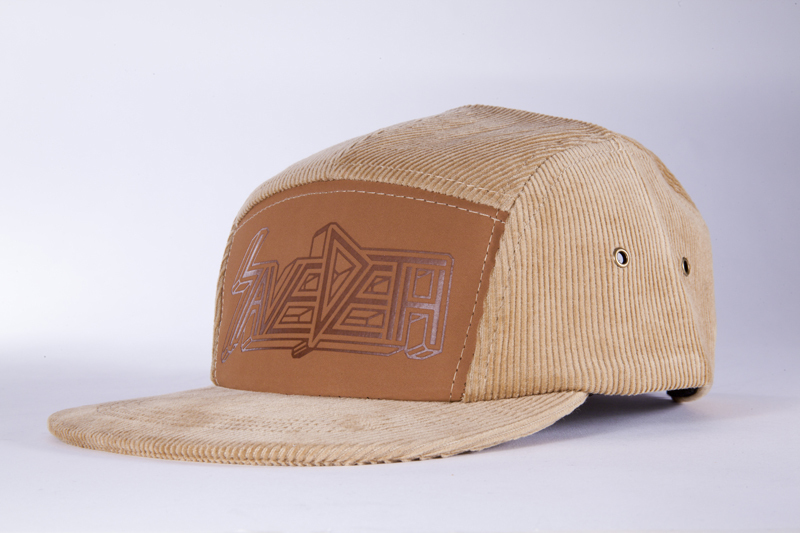 This 5 panel camper hat features a leather front panel along with matching back strap, brass hardware and tan corduroy body. Finished with a Save Deth colorbar tag. Both hats are available now, only at SaveDeth.com.